This activity addresses Massachusetts standard 7.MS-LS2-1. 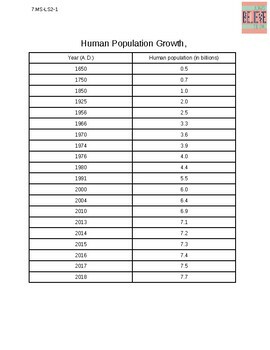 Using human population data, students are asked to use Google Sheets to make a graph of human population growth over the years, from 1650 to 2018. 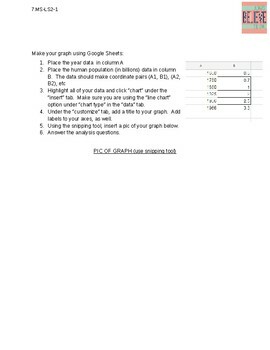 They are provided with detailed steps on how to make a graph using Google Sheets and are asked to use the snipping tool (provided on all laptops and Chromebooks) to insert a picture of their graph on the document. 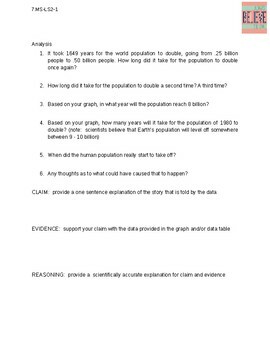 They are provided with analysis questions.